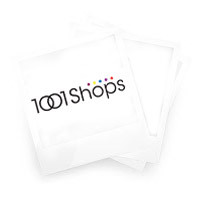 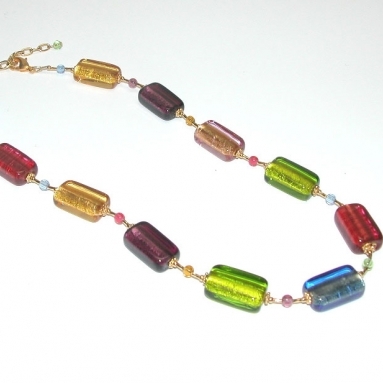 Murano Glass Necklace Multi - Murano Glass Jewelry - Murano Glass Gifts Co. 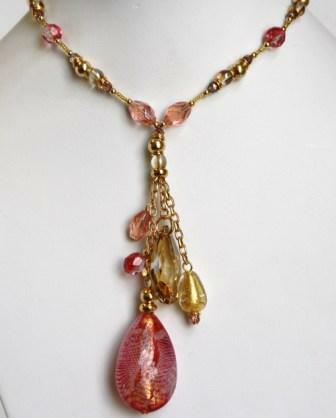 This is a modern design. 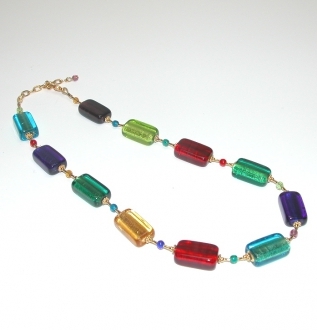 The Murano glass necklace is made of multicolored beads of different shapes and sizes. 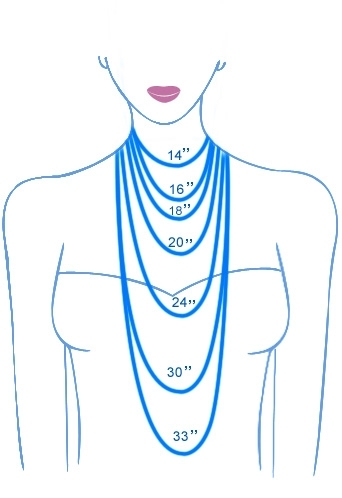 The necklace itself is long enough just to reach your breast bone. 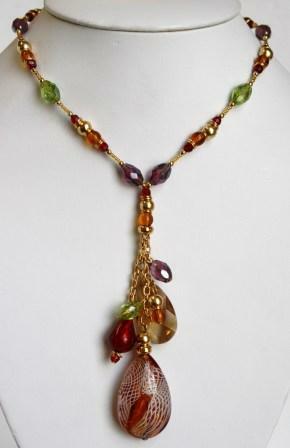 But from there a bunch of glass beads are hung to form a multi stranded pendent. 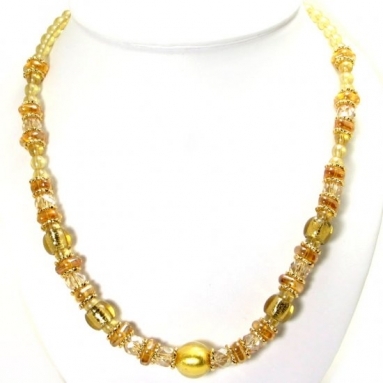 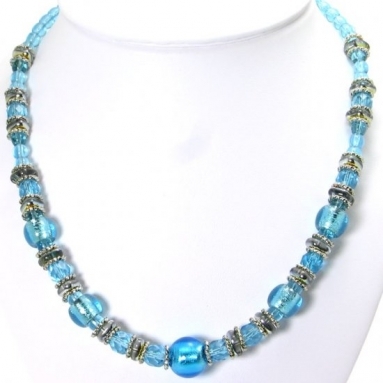 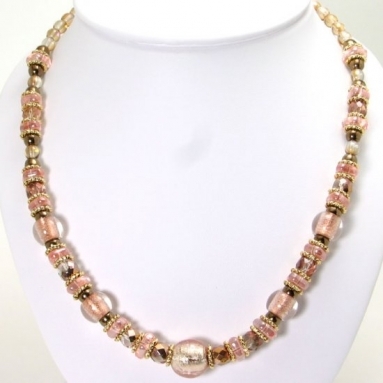 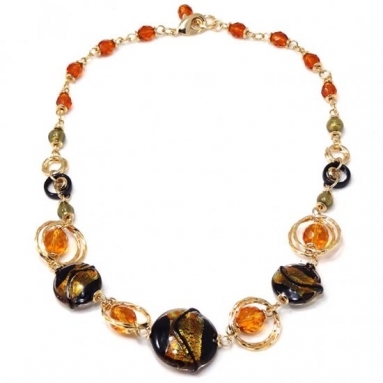 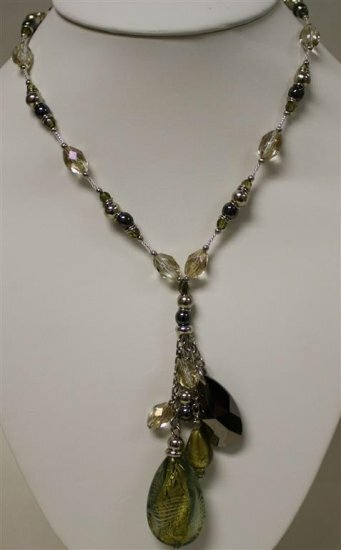 The two large magnificently designed Murano glass beads are the high lights of this necklace. 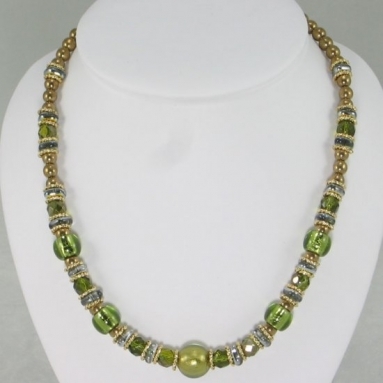 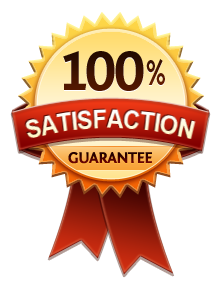 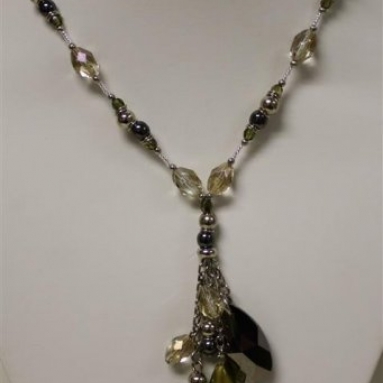 There is a lighthearted quality about the necklace, which is extremely charming.